Pitch Switch can change the speed or pitch of virtually any song! Trying to learn a new song that's just too fast? Now you can slow it down without changing the pitch with Pitch Switch! Just open up your sound file, hit play and drag the "Tempo" slider up or down. 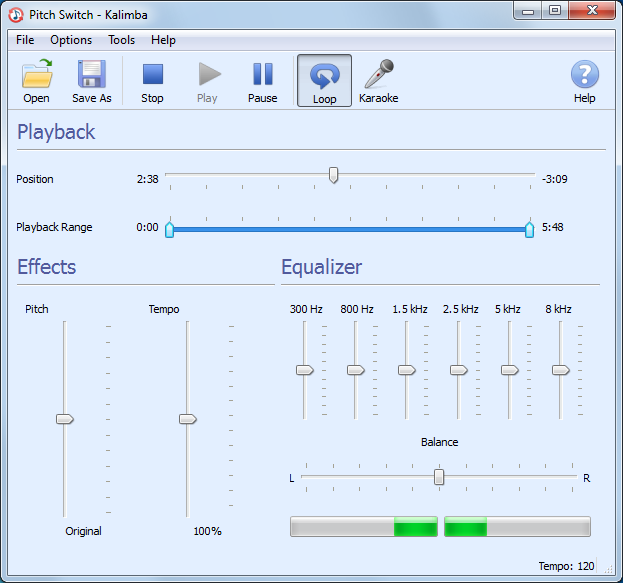 Pitch Switch will change the speed of your MP3 right before your ears! If a song is in the wrong key, Pitch Switch can raise or lower the key without affecting the speed too. With Pitch Switch you can take virtually any song and make it perfect for practice! Slow down or speed up MP3s, WAVs, Audio CDs and more! 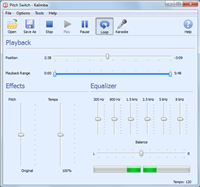 Pitch Switch works with most sound file formats. Change the pitch or key of an MP3 without affecting the speed. Bring songs that are too high or too low into your range!